Last week, I was back at Mati’s Meat and Breads for another degustation adventure (see previous post here). This time, owner Chef Paul Macasaet was there to guide my Zomato foodie friends and I on our culinary experience. Managed by the Melo’s Group of Restaurants, Mati’s Meat and Breads was established by Caron Santiago-Macasaet, daughter of Melo’s founder Melo Santiago, and her husband Chef Paul Macasaet. Our host shared that Mati's takes it name after the Macasaet's youngest son, Mateo. Moreover, some of their favorite dishes on the menu ears were named after Mati and his co-siblings---Bianca and Tali. Balot Aligue (P 190.00) is Balut (duck embryo) sauteed in an equally cholesterol-laden Aligue (crab fat). It was a challenge to non-balut eaters like myself but I couldn't resist trying a mouthful and I wasn't disappointed! I love Mati's take on this fusion Filipino food! Truffled Bone Marrow (P 385.00) is another sinful dish that cardio disease patients would miss out on. The bone marrow on baguette slices was like nothing I have ever had! I super love the way the finely-chopped, luxury mushrooms blends with the rich taste and fatty flavors of the bone marrow! It was simply irresistable. It was served with little spoons to scrape out the marrow. I was pleasantly surprised with how much of the soft mixture was in there! I say that passing up on the Truffled Bone Marrow is a capital offense! 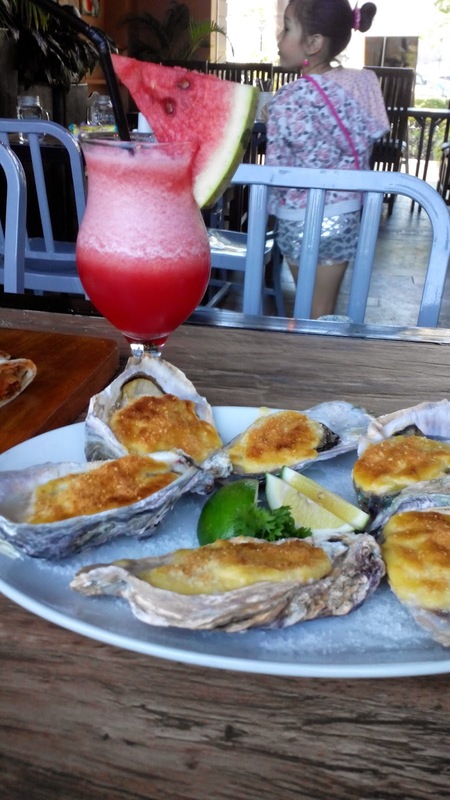 Rockefeller Oysters (P 380.00) was excellent beyond measure! Tali’s Gamberetti(P 350.00) This pizza has all the goodness of shrimps, mozzarella cheese and served in a very thin crust. 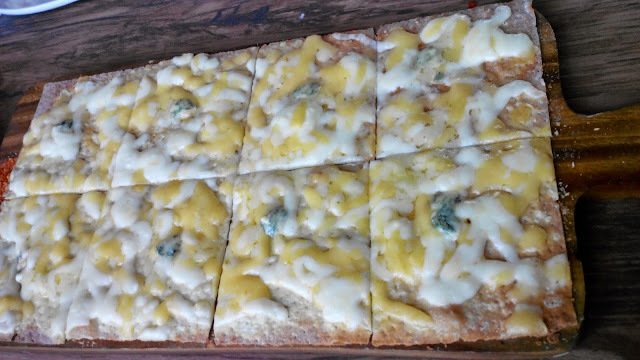 Bia’s Four Cheese(P 365.00) is a classic version of one of the most wonderful combinations of bread and cheese imaginable. It was bursting with flavor. Camille’s spinach and arugula bean salad (P 195.00) is a mix of arugula, tomato cherries, beans, cheese, and diced ripe mangoes, sprinkled with sweet chili sauce. 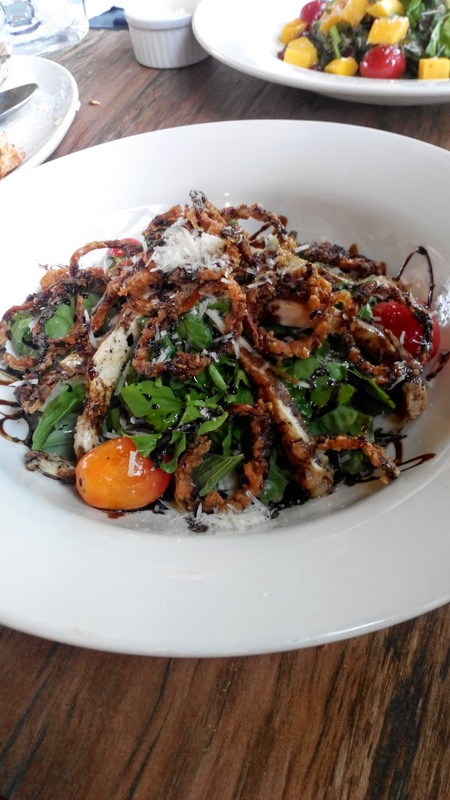 Vince’s Chicken and Arugula Salad (P 225.00) has greens topped with chicken slices and sweet caramelized onions. Balsamic vinaigrette gives it a tangy, savory taste. 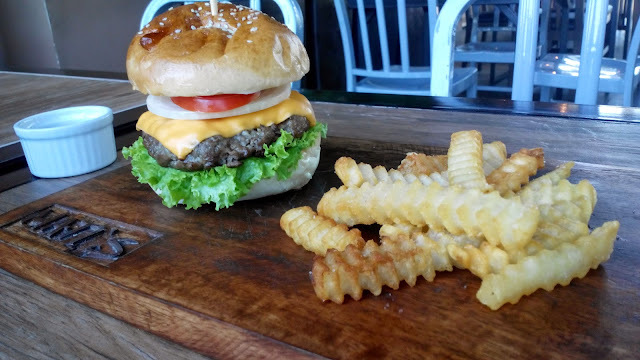 Mati's 6oz Angus Burger (P 385.00) comes as a seasoned, perfectly-grilled patty. Its meat is not too lean and not too fatty either. 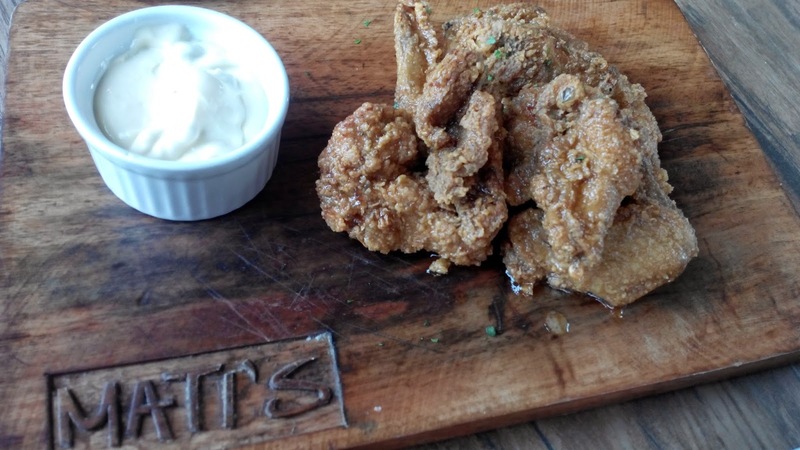 Mama’s Buffalo Wings (Php 240) is something kids would love. The deep-fried chicken wings glazed comes in a sweet and spicy sauce. 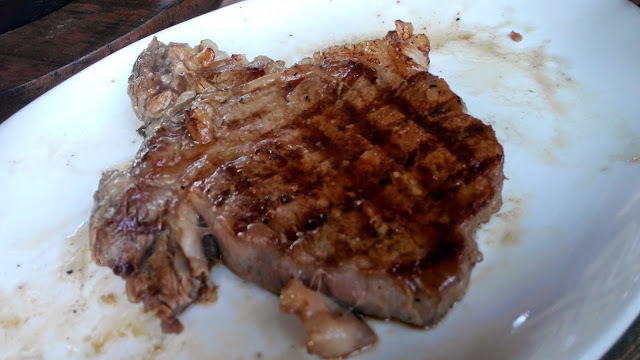 300g Certified Angus Rib Eye Steak (P 1,400.00) is pan-seared prime beef that is probable the best meat in the country. We were served Brownie a la mode (P 220.00) and Chocolate Eclair Cake (P 200.00). I'm not really into sweets but I could take these slices away and huddle in a corner in a sugar-filled bliss. Mati’s hefty chunk of impressive desserts is something you should try out. The overall food experience was good. Visit Mati's soon.